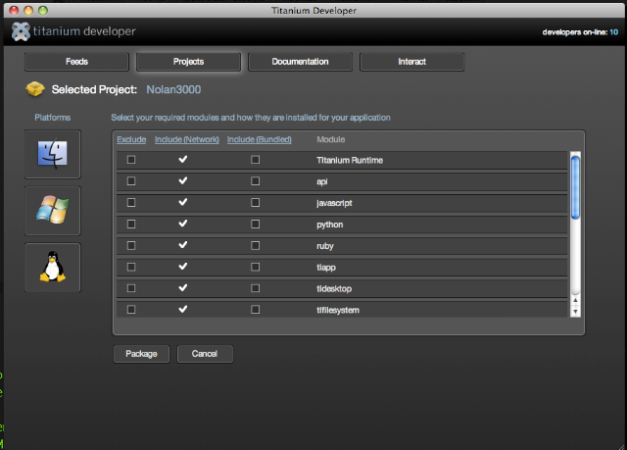 This morning, Mountain View-based startup Appcelerator is taking the wraps off its second Preview Release for Titanium, an open-source developer platform meant to compete with Adobe AIR and the likes for building rich internet, mobile and desktop applications. The new release of the open developer platform, licensed under Apache Public License (version 2), can be downloaded for Windows, Mac OSX or Linux here. 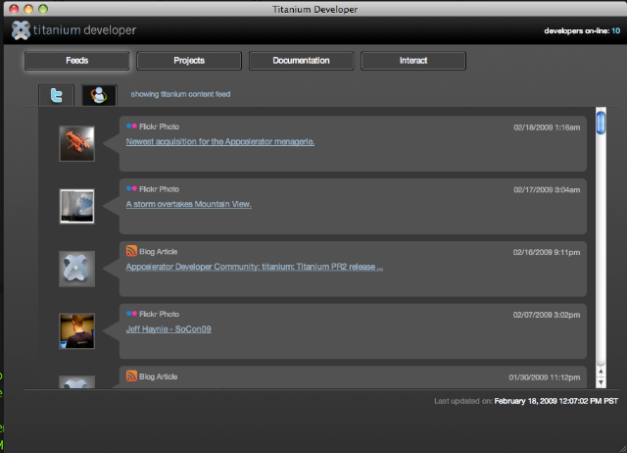 The release also includes a nifty tool dubbed Titanium Developer which groups a number of social media and communication services like Twitter, FriendFeed and an IRC chat module which is supposed to make it easier for the open-source developer community to connect and collaborate when using Titanium for building apps. Check out this screencast to see how it works. I have my doubts about Appcelerator being able to compete with more established players like Adobe with its cross-platform AIR runtime (at version 1.5.1 since yesterday), but it never hurts for developers to have alternatives, especially when they are open-source and as flexible as Titanium. The startup features a couple of demo applications you can play with, like Tweetanium (desktop Twitter client) and Playtanium (a desktop YouTube video player). I tested both (admittedly very basic) apps on my Windows Vista powered PC and they worked like a charm. Appcelerator recently raised $4.1 million in a Series A round led by Storm Ventures. 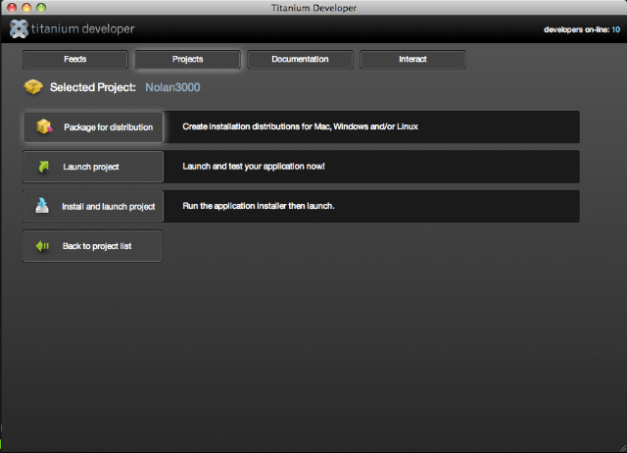 Below are a couple of screenshots and a tutorial video on how to get started with Titanium. If you build an app with it, be sure to let us know!